Estonia is a country in Europe, located on the eastern end of the Baltic Sea. It is the northernmost and smallest of the Baltic states, which also include Latvia and Lithuania. 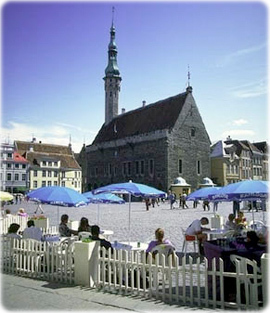 Estonia’s capital, Tallinn, is an important Baltic seaport and the country’s largest city. 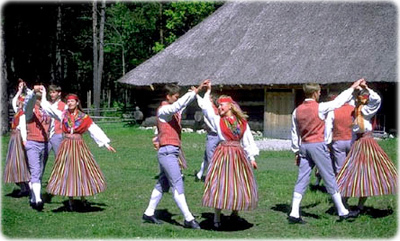 Estonians have maintained a distinctive culture despite a long history of foreign rule. Their culture is similar to the Nordic countries of Europe. In the Estonian language, which is closely related to Finnish, the country’s name is Eesti. Islands abound in the country’s coastal waters. Estonia has more than 1,500 islands, but only 400 are larger than 1 hectare, the rest are small islets and reefs. The largest islands, Saaremaa and Hiiumaa, are located off the western coast and separate the Gulf of Rîga from the Baltic Sea. The mainland of Estonia has a coastline 3,794 km long. Along the coast there are numerous bays, straits, and inlets. The coast varies from sheer limestone cliffs in the north to sandy beaches and wetlands in the west. Copyright © Geographic Guide - Travel European countries. Russians constitute the country’s largest minority group. Many Russians settled in Estonia after it became part of the Union of Soviet Socialist Republics (USSR). In 1940 the USSR forcibly annexed Estonia along with the other Baltic states, which had been independent countries since 1918. Estonia regained independence in 1991. It quickly dismantled the communist institutions of the Soviet period, switching to a democratic form of government and a free-market economy. These reforms helped Estonia gain full membership in the European Union in 2004. Church in Tallinn, the capital city of Estonia.